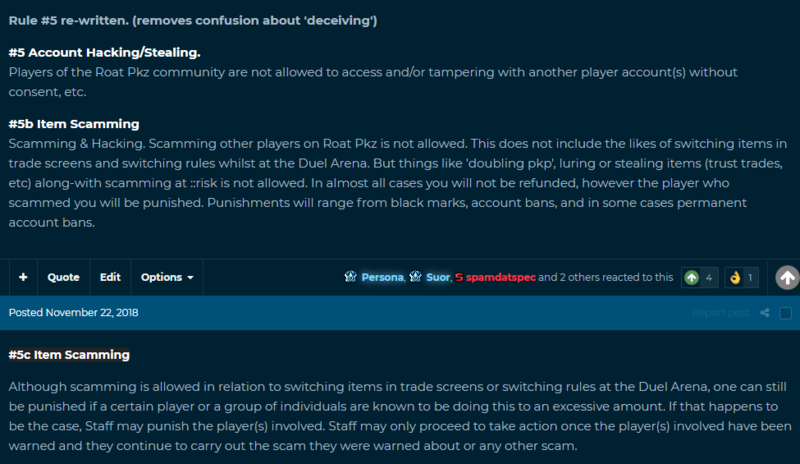 After speaking with a staff member today, it has come to my attention that scamming in not illegal. Given this little piece of information, I have a few questions for the most distinguished and knowledgeable of people around here. If this is a legal activity then why do some people assume you can be banned for it? Well, can you be banned for something legal? If you can, is it legal still? I'm missing some information here and would like some more bits and pieces if y'all anything. Anyhow, you lads have a wonderful day - look forward to hearing more!